Call of Duty continues its slow inevitable march towards reveal, release, criticism, praise and – eventually – dreamless slumber before it is next reincarnated, with a cheery teaser video. For the best FPS games PC has to offer, look no further. The video, which appears to have been recorded in the future and sent into the past where our codecs are not quite advanced enough, depicts a man from the Settlement Defense Force saying scary things. Named “Know Your Enemy” the script reads like that one kid at school who wasn’t very strong but made up for it by picking a lot of fights he knew he could win. Also, at some point in the techno-glitchery, the words “Nuketown offline” appear which is a reference to the teaser scene which has been playing at the end of matches on the iconic map during Call of Duty: Black Ops 3’s “Nuk3town weekend”. 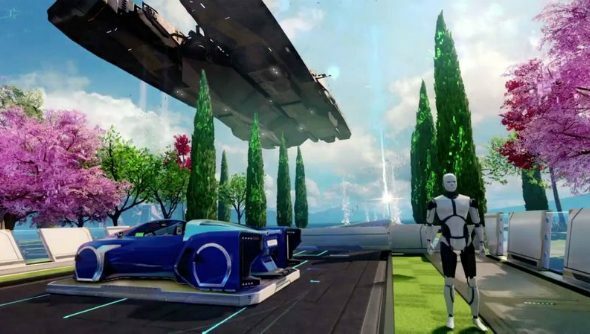 The scene depicts a spaceship obliterating the map followed by the Nuketown offline message and the same skull image which appears throughout the Know Your Enemy transmission.